The Beara Peninsula is Ireland’s third major circular driving route after Kerry and Dingle, on the South West coast. The elaborate coastline and rugged mountains make it a very dramatic place to visit. It is a paradise for nature lovers and has attracted artists, poets and writers for many years. There is an old worldly feel to the peninsula and because of its craggy road structure, hasn’t attracted the big coach buses, a fact that we are delighted with. 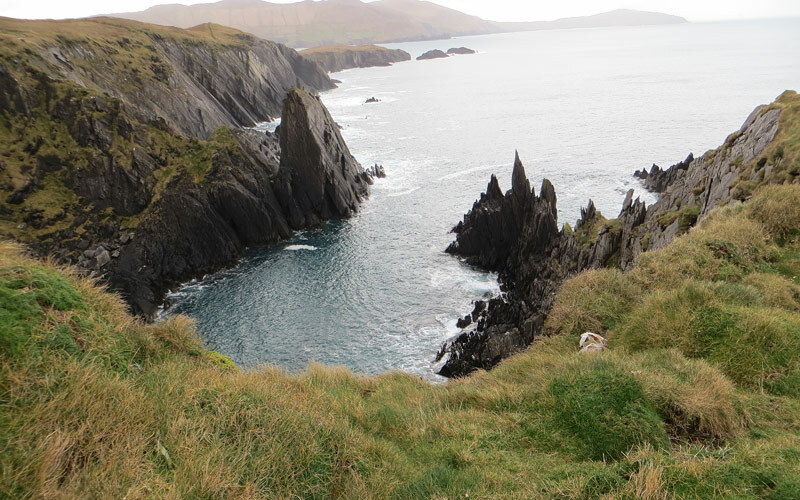 There is still a feeling of “discovery” about Beara, West Cork. 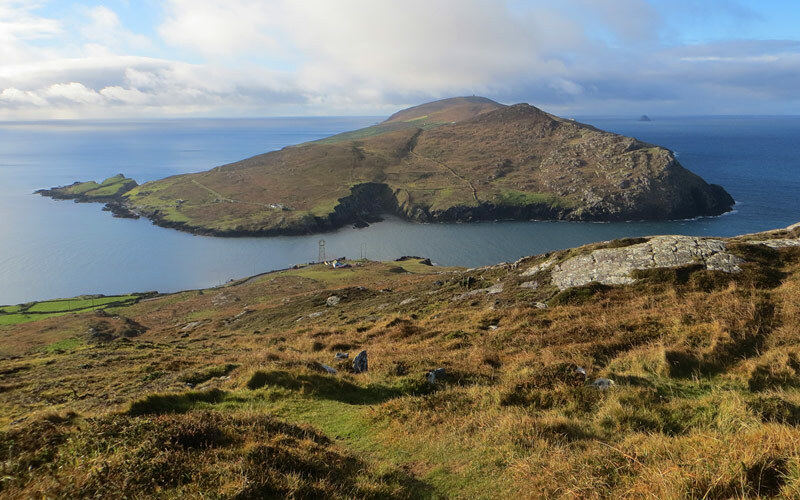 At the tip of the peninsula on the Wild Atlantic Way, is Dursey Island, accessible by Ireland’s only cable car! 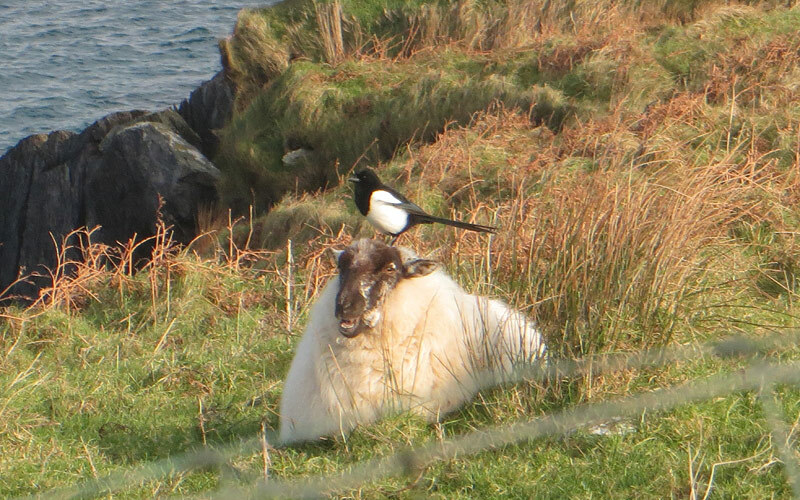 The walk there is part of the Beara Way. There is so much to do on the Beara Peninsula and in the locality around Bellatrix bed and breakfast for women. For starters, Rita is an experienced hiking and walking guide. She will take you out on the Irish mountains and quite honestly take your breath away, not just with the effort of the climb but with the views that Beara have to offer! The Bullig Bay loop walk starts at Bellatrix and takes you out to Piper’s Point, a fantastic spot to look out for dolphins, harbour porpoises and other wildlife. Last week Rita had what she describes as one of the most incredible experiences of her life. There was a gale blowing and she went out for a walk through the forest on the Bullig loop walk. We have seen the resident otters on several occasions in the years we have been living at Bellatrix but this time there was a convergence of perfect conditions! The wind was blowing, the rain was coming down and along the track Rita who was downwind saw Mammy otter and the cutest baby otter (cub or pup) about 5 meters in front of her. Bellatrix bed and breakfast for women has hosted many BBQ’s at “our cove” over the years. We have sung, laughed, cried and shared great food with up to eight different nationalities of women at times. We had a honeymoon couple from Spain a few years back and international singers competing in competitions, Military women and pastors, bikers and detectives all make for great discussions around the fire. We have seen basking sharks, deer, hares and even a North Atlantic Bottlenose Whale in the locality. BUT, remember it’s not a Zoo! Patience is required. Never underestimate the gifts that patience and relaxation can give you.